As appliances go, air purifiers are remarkably passive. They sit in your home, filtering air day in and day out without requiring more than very occasional maintenance. Though it offers great convenience, this passive nature also makes air purifier performance a little difficult to measure. As a result, one of the most common questions we get from our customers is how to tell if an air purifier is working. In this article, we’ll be discussing the best ways to know if and how well your air purifier is doing its job. Of the best ways to tell if an air purifier is working is to buy one that features a filter indicator light. Like all filter systems, air purifiers lose their ability to remove contaminants from the air as their filters get older. Eventually, filters need to be replaced for the purifier to keep working. Filter indicators will measure performance and tell you when the filter needs to be changed. When you see your filter indicator light go on, it’s an easy way to tell that your air purifier isn’t working as well as it could be. Like any electronic system, it’s wise not to rely entirely on a purifier’s filter indicator, since there’s always the slight chance that it could give a false read. From time to time, it’s a good ideally to manually check your filter, especially if you suspect that your air purifier may not be working at full capacity. You can tell if an air purifier is working well if you see debris, hair or dust in the filter, but not enough to completely clog it up. If it’s too dirty, chances are it needs replaced. Keep in mind that this only works for HEPA purifiers, as carbon filters won’t show any outward signs of aging. Though the methods described above can help you tell if your air purifier is working, they are imprecise at best. By far the best way to know that your air purifier is working well is to use an air quality monitor. These devices are separate from your air purifier and provide analysis of the air in your home. Using an air quality monitor, you can measure exactly how well your purifier is performing. At US Air Purifiers, we have two air quality monitors available. The first, the Foobot, is one of our most popular accessory products. This unit uses simple, easy to understand color indicators to give you a broad measure of the quality of the air in your home, allowing you to easily tell if your air purifier is working at any given time. 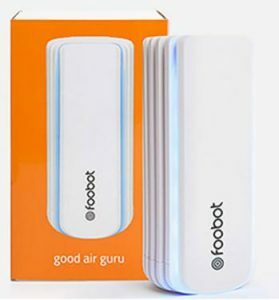 For even better data, you can connect the Foobot to your phone via a simple app and get real-time air analysis and recommendations. 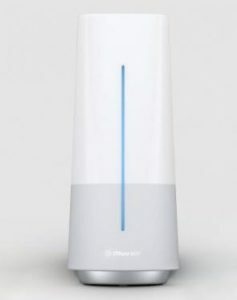 The other is the Blueair Aware, an air quality monitor that is made specifically for use with Blueair air purifiers. WiFi enabled units from Blueair can pair directly with the Aware and use its measurements to improve their performance. The unit can also be used independently to help you tell if an air purifier is working properly. Knowing how to tell if an air purifier is working is an important part of using clean air to improve your health. 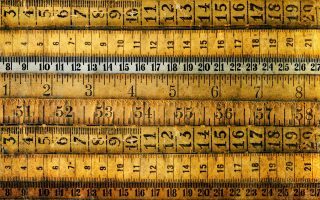 If you have questions about measuring your air purifier’s performance or about the air quality monitors we offer, please feel free to contact us directly.